As history buffs and Rocky Mountain lovers, there was no better place for Julian and Robert to start the beginning of their forever than at one of Colorado’s most historic and iconic venues, The Stanley Hotel! Nestled in Estes Park, the epic views and old-world charm of this hotel fit the couple’s understated yet impeccably designed vibe brilliantly. Not only did it offer an intimate indoor space for both the ceremony and reception, but it allowed Julian, Robert, and all their guests to have a true “wedding vacation,” complete with yoga, a ghost tour, and herds of elk! Prisma Events did a phenomenal job planning a magical affair, tying in all the DIY details with the naturally elegant floral designs from The Simple Petal and making it all complement the space perfectly. With so much visual beauty happening, we’ll be eternally grateful that Wild Jasmine Photography was there to capture it all! “Honest & Magical” was our mantra as we planned our wedding. We really wanted our wedding weekend to reflect our individual styles but also highlight and share the common things we love. We put together thoughtful welcome baskets of all our favorite things for our guests to enjoy throughout the weekend and handed them out during our welcome reception. The following morning we planned a group yoga class to get us centered, stretched, and ready for the family vs. family softball game (which ended up being our favorite activity we planned). We ditched the traditional rehearsal dinner that night and opted to treat our guests to some local BBQ delicacies at our favorite whiskey distillery followed by a spooky late night ghost tour back at The Stanley Hotel. On our wedding day, we woke up to fields of wild elk at our front door and ended the night with a surprise drag show … it was so magical and perfect! Our families and friends live all over the US, so we knew traveling would be inevitable. Letting our guests make a fun, memorable vacation out of our wedding was really important to us. We wanted our guests to explore the local sights in Estes Park, which ironically was inundated with elk that time of year, or stay in bed if they wanted. So our wedding invitations and website both had a timeline of activities and events that would be occurring throughout our wedding weekend so that our guests had the option of opting in or out and making the vacation they wanted. We DIY-ed as much as we possibly could from Miami and shipped/flew with everything to Colorado a week before the big day. For décor, I searched in thrift stores and online for brass candle holders and terrariums (for our table numbers) to place on our tablescapes. We repurposed them after our wedding and now have a few macramé hanging terrariums and candle holders sprinkled throughout our home! All the DIY work was truly a labor of love, so much so that I even began my own Etsy account, Yonder Paper Co., to share and continue to make handmade pieces of work. Our advice: stay authentic, go for the different, and try to be unique. 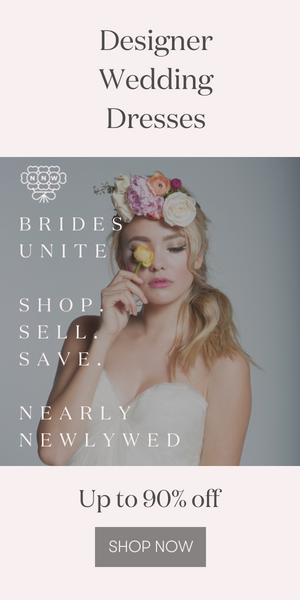 You can get lost out there with all the wedding planning tools you have at our fingertips, from Pinterest to Instagram to bridal magazines and blogs. The best advice we have is to stay honest and focus on a few things that are really important for each of you to have or see at your wedding and make that the priority. Also, lots of candles is always a good idea! Wedding Programs & Menus – Yonder Paper Co.
Congratulations to Julian and Robert and a big thanks to them for sharing their elegant Colorado wedding at The Stanley Hotel with Junebug! Do you hear that? The mountains are calling…and this North Cascades National Park elopement inspiration will make you want to say “I Do” on a mountaintop!